So it’s only natural that we at Redbox are excited about January 19th being National Popcorn Day, and we think our fellow movie-lovers should do something to celebrate — especially since it’s falling on a Saturday this year. String ‘em up – Get the whole family in on the fun of creating long popcorn strings to hang up around your viewing area. Once your party is over, you could move the strings outside if you want to provide a nice little snack for local birds and squirrels. Make the shot – Compete in a game of “popcorn basketball” by seeing who can successfully flick popped popcorn into a bowl or basket the most times in a row. Try Your Best to Balance – Hold a relay race and see who can cross the finish line fastest while carrying a piece of popped popcorn on a spoon. Those little suckers blow off very easily, so your quest to win will have to be balanced with the appropriate level of caution. Feast – Obviously you can’t celebrate this day without actually eating a ton of popcorn. But it shouldn’t be just any old popcorn. You should use this occasion to go all out with an extensive popcorn bar. Get lots of different flavored toppings your guests can shake on, and then provide as many bowls of mix-in options that you can think of. Here in Chicago (where the nonprofit National Popcorn Board is based, as it were) we’re lucky enough to have several local options for yummy (caramel, cheese, chocolate-covered) flavored popcorn, but you could also try to make those varieties yourself if you’re so inclined. If you want to be a little more health-conscious, you’ll be glad to know that without any toppings, popcorn is one of the most economical and delicious whole-grain snacks you can find. Serve it up – Check your nearest dollar or discount store for a supply of fun and colorful bowls or bags for your guests to concoct their ultimate popcorn creation in. Some might even have popcorn or movie-themed napkins, plates, bowls and decorations. 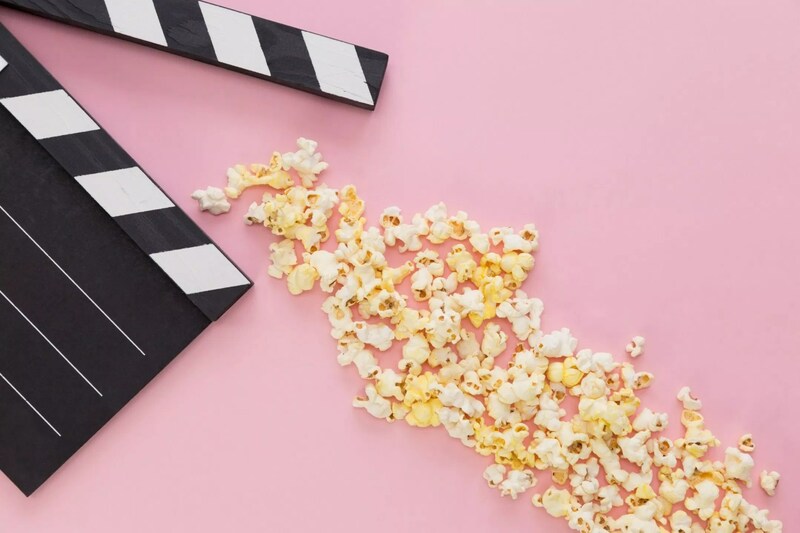 Pick a movie or two – Again, you can’t properly celebrate National Popcorn Day without getting your munch and crunch on to at least one movie. Don’t even try it. Then settle in, relax and enjoy your popcorn feast!